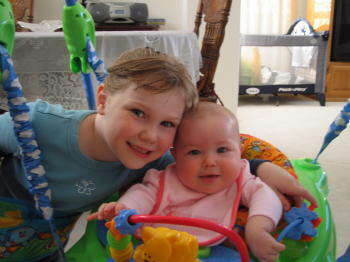 and their daughters Katya and Kristina in 2006. I don't remember if I mentioned this before but there is an excellent Russian school for children at the University California Irvine (UCI). This is where Katia goes on Saturdays. They teach Math, Language, and Arts (in Russian). Academically this school competes with other Russian schools around the country. If you have clients in Southern California (Orange County) this may be of interest. Thought I would send a picture from our recent Russia trip in June. This time we visited the golden ring cities. Katia's favorite city was Yaroslav because of Masha the bear who lives inside the Monastery there. Hard to believe that the Volga actually freezes over in winter." Best wishes to you and your staff.